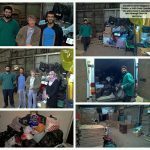 Eid Gifts to Syrian Refugees in Lebanon: a SABS Youth Committee City-wide scheme in association with Edinburgh Direct Aid. 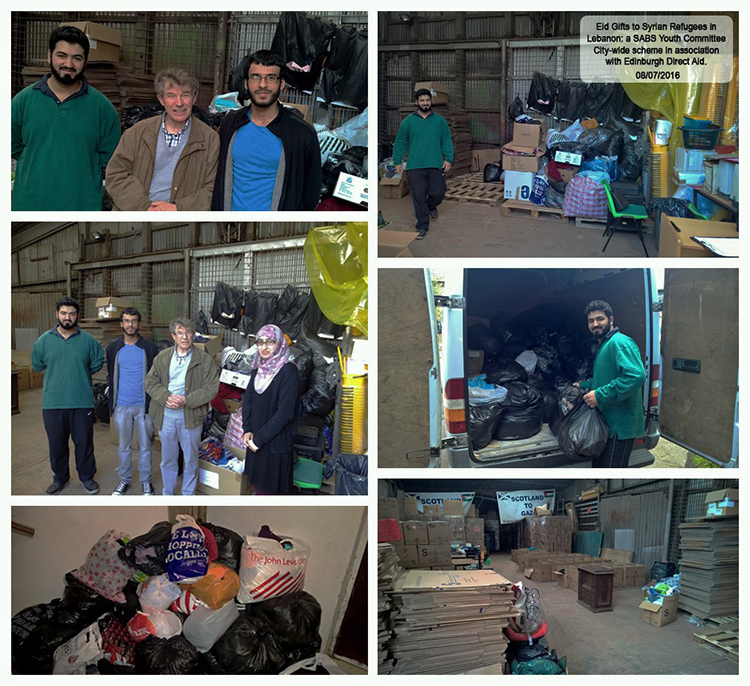 During the week-long programme in the final days of the month of Ramadan, the SABS Youth Committee coordinated a communal collection of goods and items from the congregations in Edinburgh and across the region. A great haul was secured and a van-load of goods and provisions was accumulated; a stockpile ranging from clothes to toiletries to stationary. Our thanks extend to all who donated, inspired by compassion and the call to philanthropy and helping those in dire need, notably Broughton High School whose support and donated goods we were delighted to have. Through Edinburgh Direct Aid the donations will be delivered as aid to Lebanon as part of the Syrian refugees project.